Andrew R. Rudy, 74, of North Syracuse, passed away October 30, 2018. 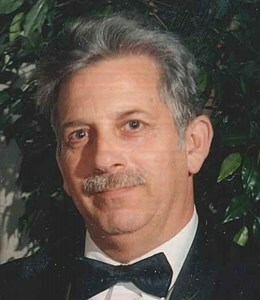 Andrew was born in Syracuse, New York on April 23, 1944 to Andrew Rudy and Lillian Rudy, nee Owens. He was a carpenter for most of his life. He enjoyed taking his grandchildren fishing. He was an avid hunter and loved classic cars. He traveled with his wife on various cruises and trips around the country. He is survived by his Wife of 55 years, Willie Mae Rudy; Sons, Eric (Sara) Rudy and his Girlfriend, Sara Harmon, Scott (Meiko Baker) Rudy, Andrew (Patricia) Rudy, Jr.; Grandchildren, Diana Mae Rudy, Eric Rudy, Jr., Michael Rudy, Brenden (Callie) Rudy, Elysia (Jonah) Mock, Christine (Carmen) Ferraro, Amanda Rudy, Kanako Kishi, Ashley Baker, Alyssa Baker, Erika Kishi, Randy Harmon, Jr., Ryan Harmon, Hunter Harmon; Great Grandchildren, Grayson Rudy, Raina Mock, Archer Mock, Lilly Ferraro, Tanner Rudy. Visitation will take place Friday, 4-7 PM at New Comer Cremations & Funerals, N. Syracuse. A funeral service will follow at 7 PM at the funeral home. A graveside service will be held Saturday, 10 AM in White Chapel Memory Gardens, DeWitt. To share a memory of Andrew or leave a special message for the family, please click the Share Memories button above. Add your memories to the guest book of Andrew Rudy. I am so sorry. Andy will definitely be missed by everyone he touched. You guys are a tight family unit and will lean on each other. Willie, our hearts goes out to you. That is a long time to be together! Love Linda, Gene, Melissa and Jared Bushee. Truly sorry for your loss. I have many great memories of growing up with Andy and the boys. Time is a thief. Andy worked with my Dad (Joe Greene) for many years and became part of our family. A wonderful person who made us all laugh. He will be missed. Dear Willie and family, I was so sorry to hear of Andy's passing. May the care and love of those around you provide comfort and peace to get you through the days ahead. My most sincere condolence. We were shocked and sadden to hear of Andy's passing. He was a honest man with always a joke behind any conversation we had. Jess and I will forever remember how he and Willie always shared their adventures and were always happy to visit with us, when we came to NY for a visit. May you all have comfort knowing what great memories you all have made with him. Truly a great guy, we loved him and know in our hearts he has joined our family in heaven and are rejoicing there. With love and sympathy praying for harts to heal. Andy, I know how you’re feeling right now and it is very hard but you must focus on celebrating his life. There isn’t a day that goes by that I don’t miss my Dad yet I can always remember something that makes me smile about what I’m doing that he would have been by my side. Stay strong my friend. Willie and Family we are so sorry to hear the passing of Andy. Our thoughts and Prayers are with you and the family during this time. I love you, Dad. You will be sorely missed. You were the patriarch of the family and there will forever be a hole that cannot be filled. I love you. God bless, Godspeed and may God quickly bring into His congregation.